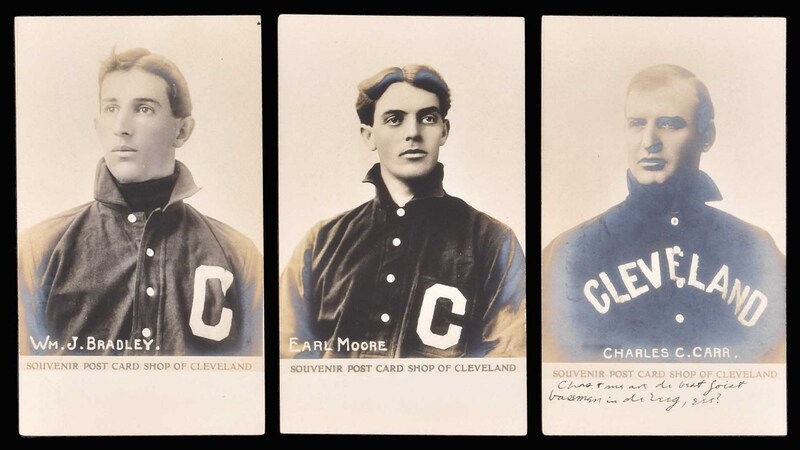 Collection of three real-photo postcards picturing, respectively, Charles Carr, William Bradley, and Earl Moore from the 1905 Souvenir Post Card Shop of Cleveland series. Each postcard (3.5 x 5.5 inches) features an image of the player in uniform, with his name and the manufacturer printed below. The Carr postcard features a handwritten blank-ink notation at the base, and has been addressed on the reverse, but was not mailed. 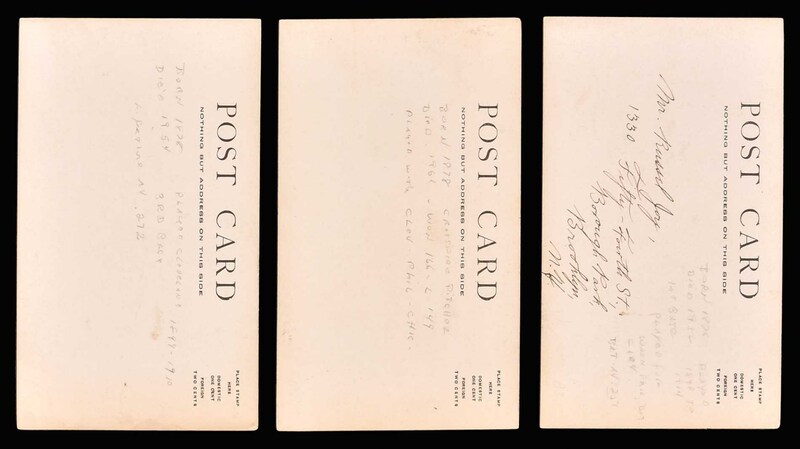 All three postcards feature handwritten pencil notations on the reverse regarding each player’s career. In Very Good to Excellent condition overall. Total: 3 postcards. Reserve $200. Estimate (open).